How long have you been a Motorbike enthusiast? Since the age of nine, so around 14 years now! It’s a passion that shall undoubtedly remain with me for many years to come, too! How many motorbike holidays have you been on? I race motorcycles anyway so it’s a fairly regular thing if you include that, but just the one big road trip on a bike so far. Did you go with anyone? Yes, there were four of us (myself and my girlfriend on one bike, and her brother and his girlfriend on another bike). We went from Hastings, in the South East of Britain, over to France, then into Germany to Aachen, then down through the Ardenne forest and over the mountains towards the coast of France, then along and down into Spain, taking the scenic route all the way! We did it at a leisurely pace, with no motorways, and it took two weeks. How old where you when you went on your motorbike holiday? Why did you choose a Motorcycle holiday? Motorcycles have been a lifelong passion of mine, and it was a sensible solution that provided a unique and unforgettable holiday experience with very low cost. What are the benefits over a ‘normal’ holiday? 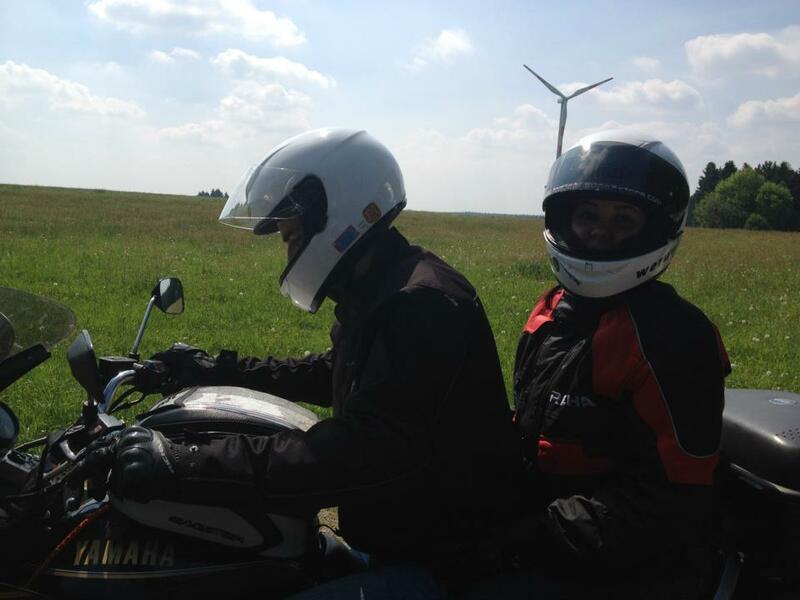 Motorcycling is very much what you want to make of it, and for sure it may not be for everyone. Benefits which I enjoyed most included meeting fantastic new people, experiencing some breathtaking scenery, and enjoying the real sense of adventure that comes with experiencing the ‘real’ culture of a country or region. For those who enjoy adventure and the raw thrills of minimalist travelling, you really cannot beat a bike! Although the other members in my party were quite keen to plan ahead, I wanted to keep the trip as spontaneous and unrestricted as possible, so we settled on a general route which included a few regions or specific locations to visit at some point on the journey, and, in keeping with the spirit of the trip, the rest was made up as we went along! Did you need any medical treatment while you were away? If so why? The whole trip was an adventure! We made a conscious effort to stay away from boring motorways and expensive toll roads, so the spirit of the trip was very much ‘into the sunset’, and it made for a fantastic holiday! Get yourself properly kitted out in suitable apparel that means you can be seen by other motorists, and that protects you head-to-toe if you are unfortunate enough to have an accident… believe me it hurts! Undoubtedly the stunning roads up and over the mountains on the French/Spanish border! What one piece of advice would you give anyone planning a motorbike holiday? Don’t worry about planning every last detail and deadline and location… the minute you have a schedule to stick to, the stress starts to build, and small delays and incidents on your journey can build up to form big headaches and tension amongst a group. Just agree on a basic plan or direction, make sure you have a backup plan in case of emergency, and see where the road takes you! Is there anywhere you would love to travel by motorbike? I would love to fly out to somewhere remote and ‘off the beaten track’ with some close friends, and purchase small capacity bikes when we arrive to spend a few weeks or months exploring… somewhere like Peru or Vietnam would be amazing!